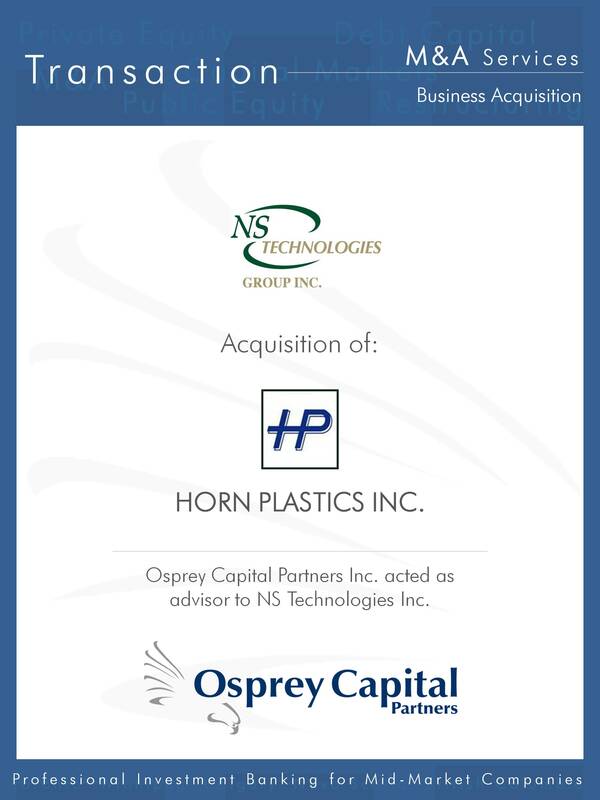 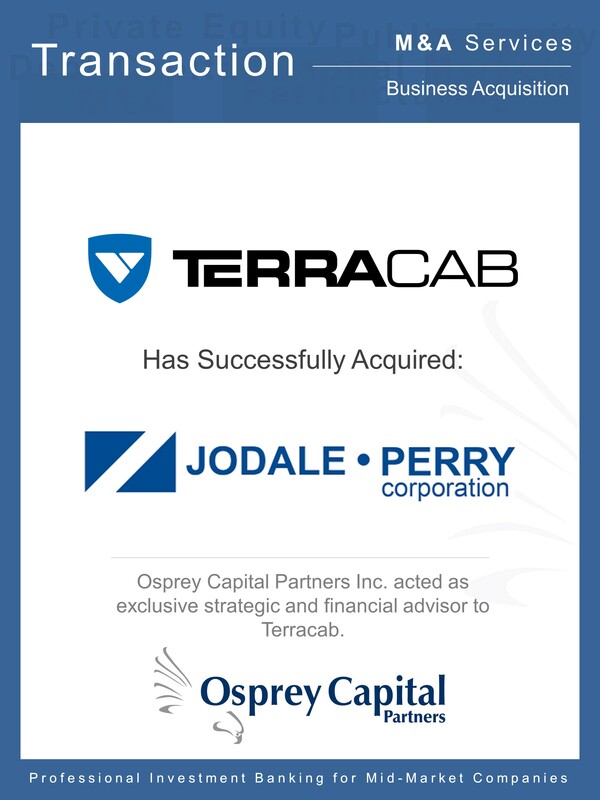 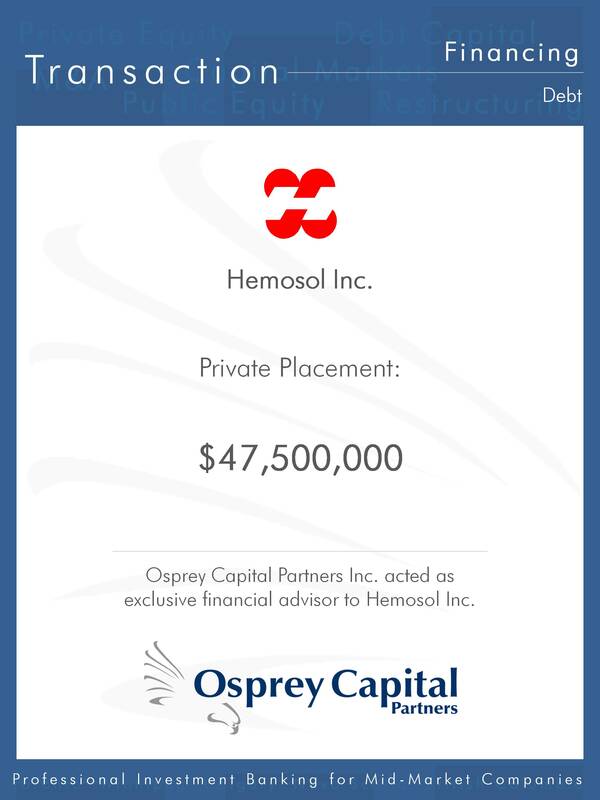 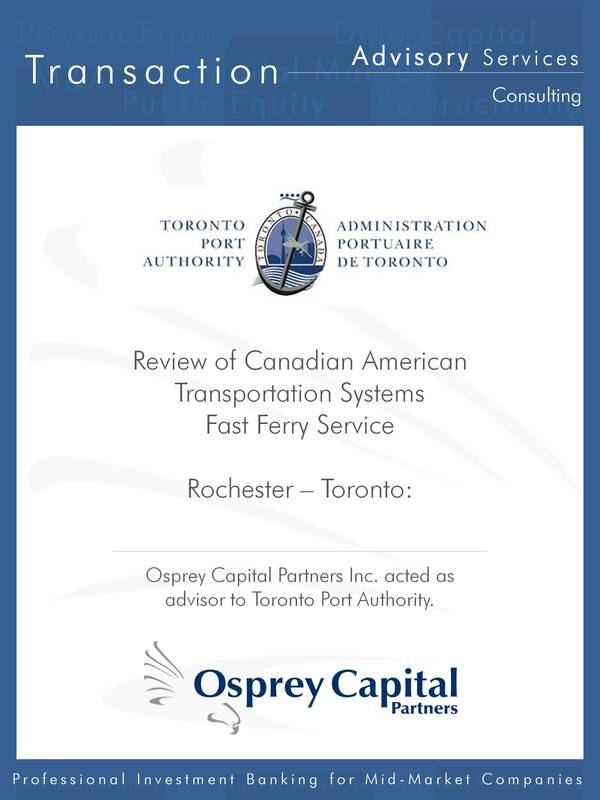 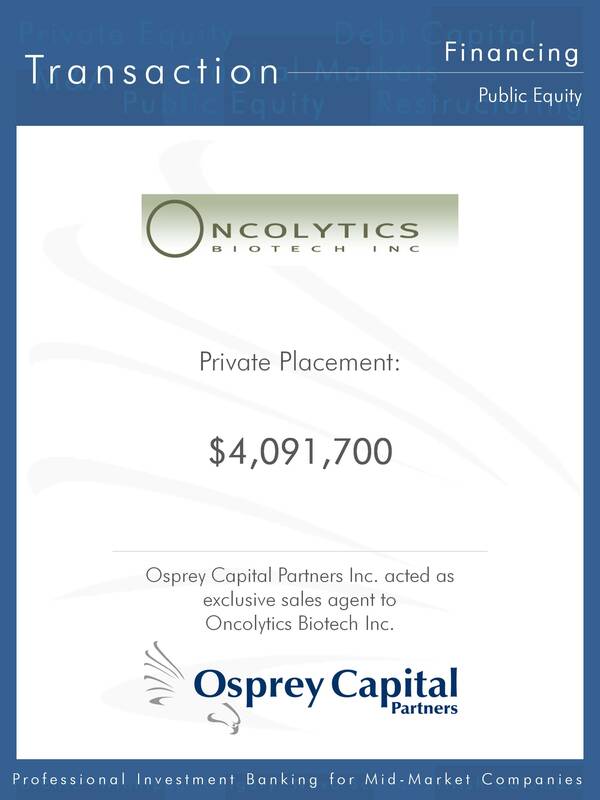 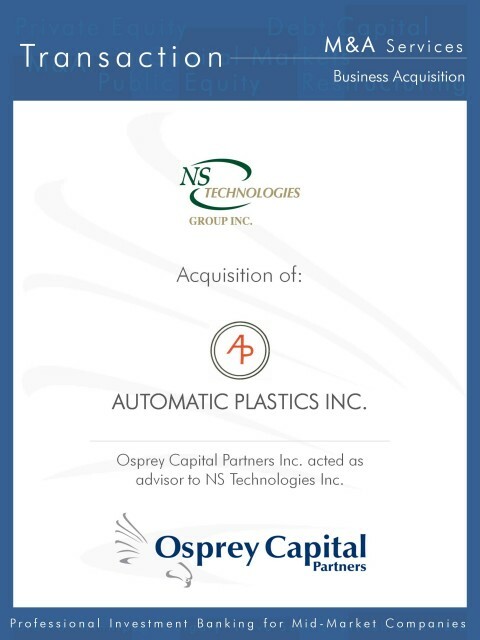 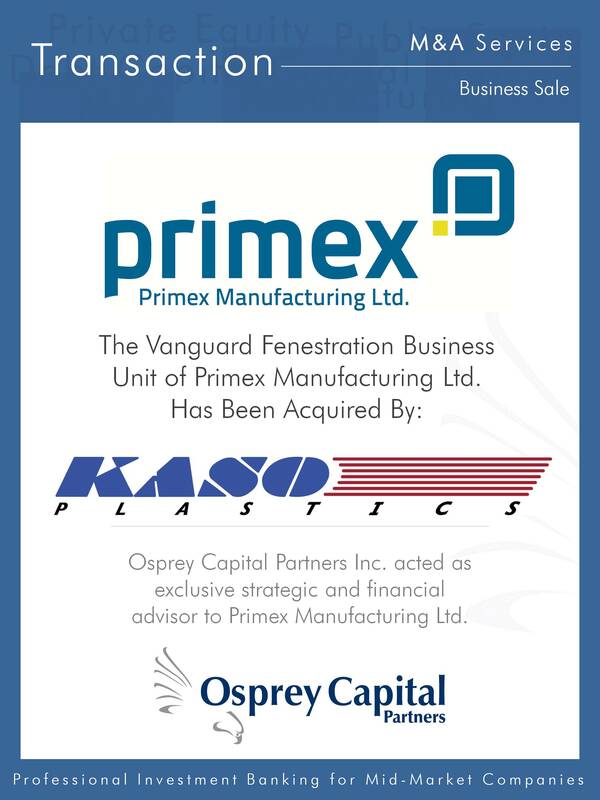 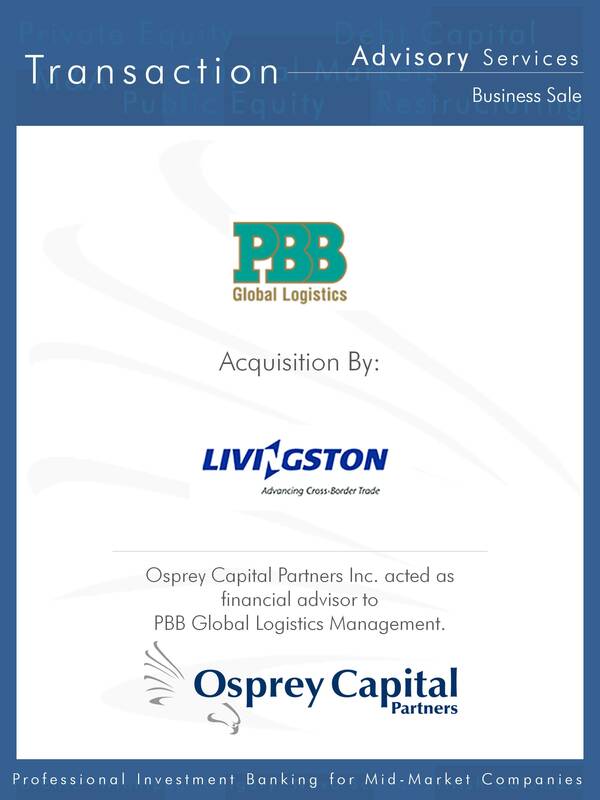 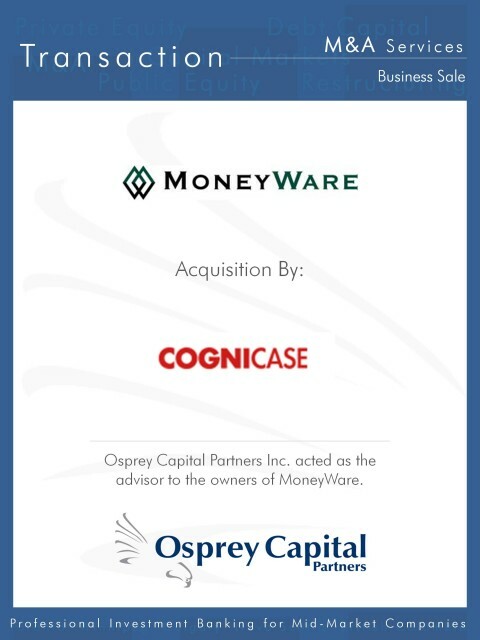 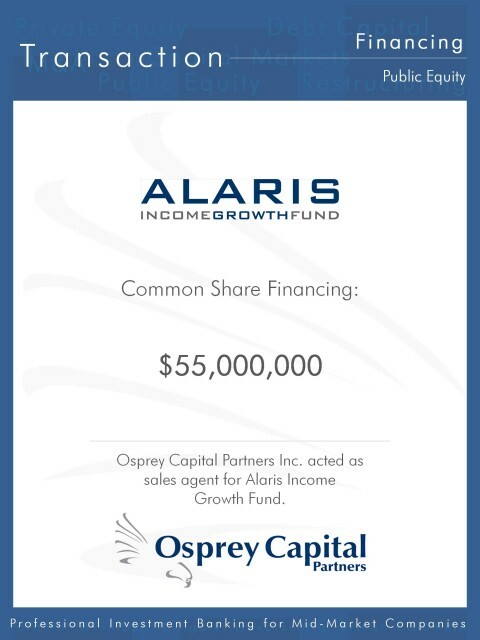 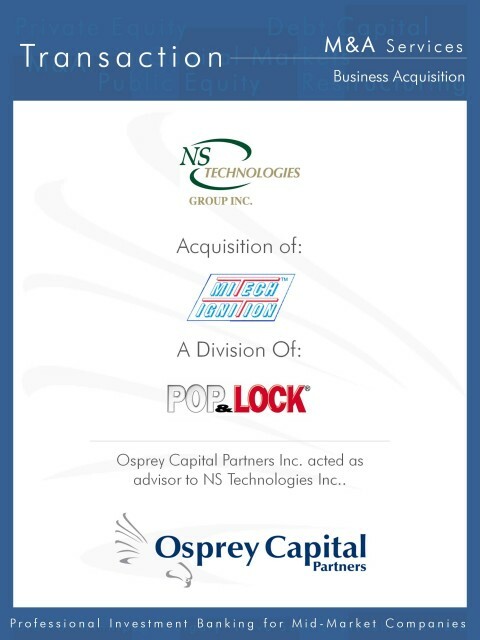 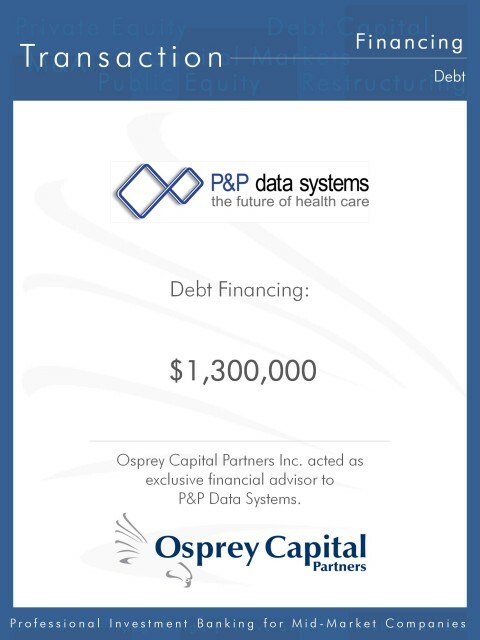 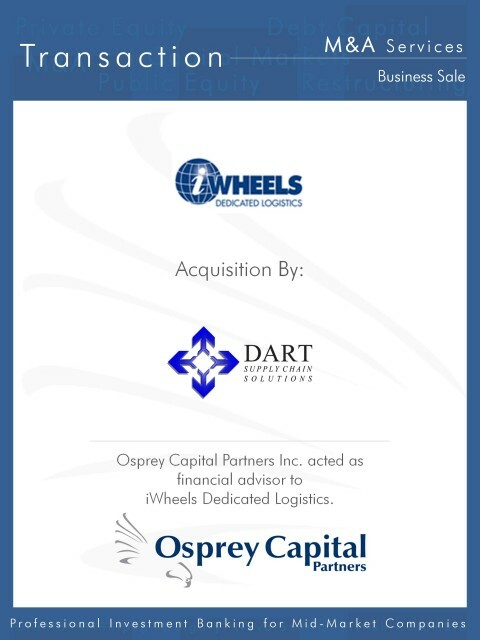 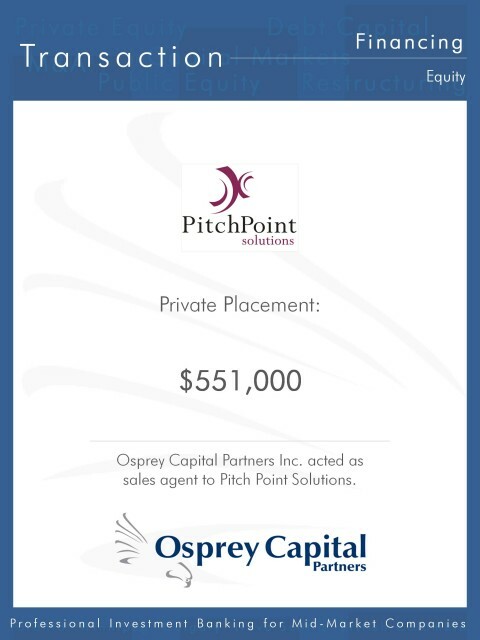 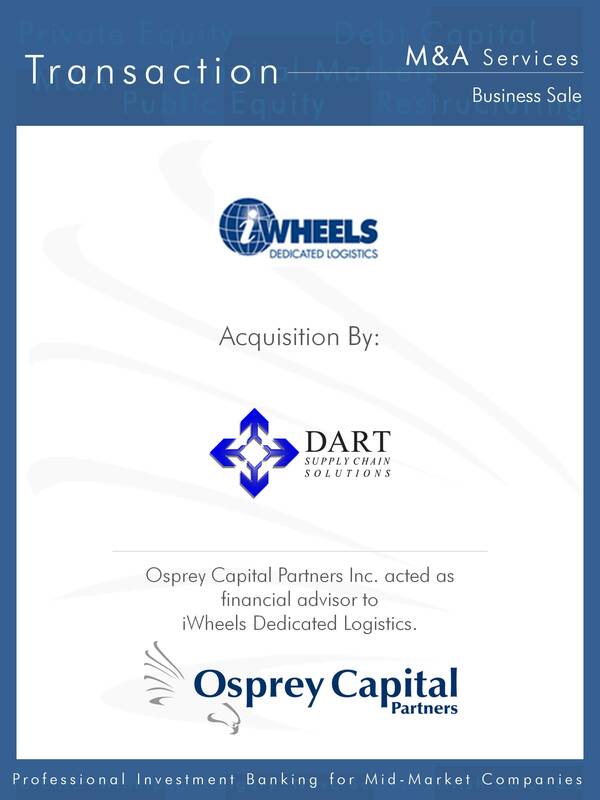 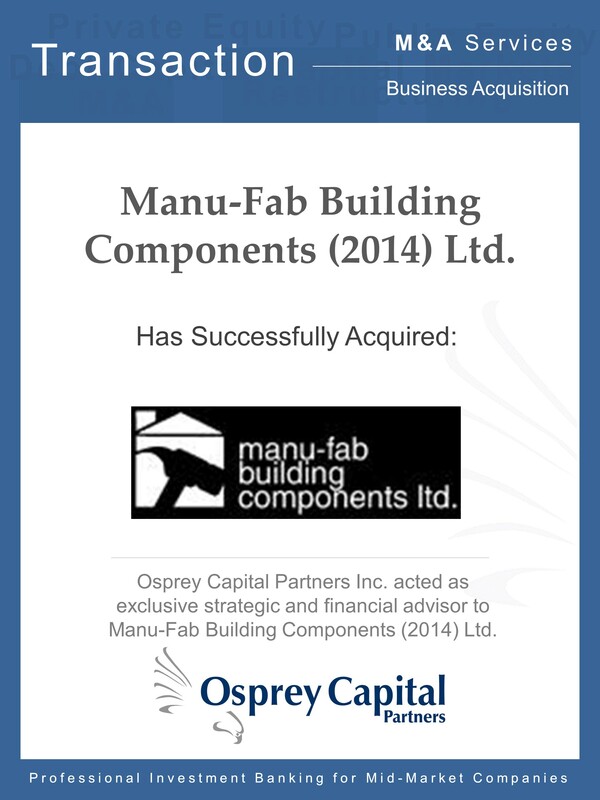 Since being founded in 1998, Osprey Capital has become one of Canada’s leading independent mid-market investment banking and financial advisory firms. Our Partners, many having worked at some of North America’s preeminent financial institutions, have broad experience assisting owners, managers and companies finance, buy and sell businesses. Our national presence is bolstered by our active participation in Globalscope, a leading international group of corporate finance and business advisers operating to support clients in cross-border transactions. 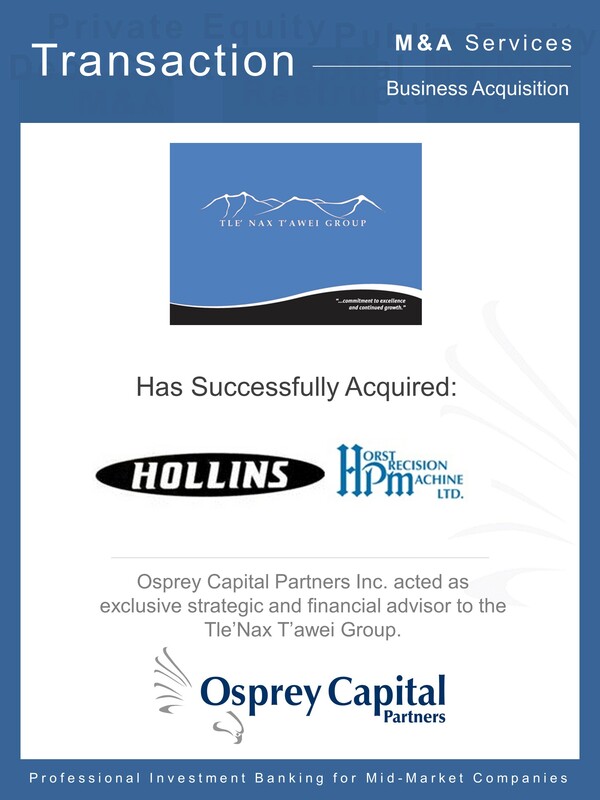 Relationships with the membership broadens our deep sector knowledge and provides access to a wide source of buyers & investors globally further optimising options and outcomes for our clients. 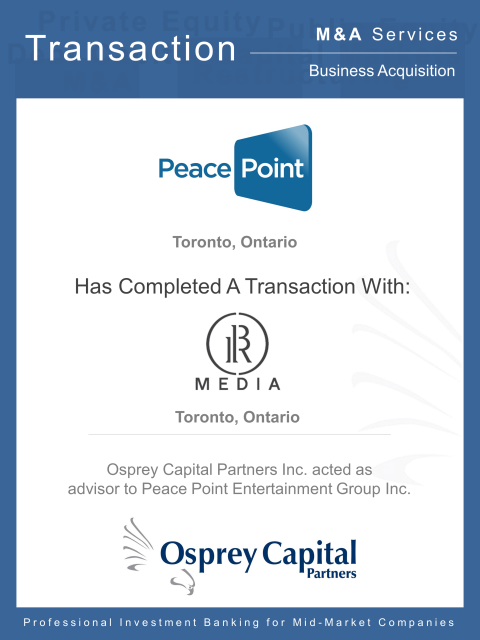 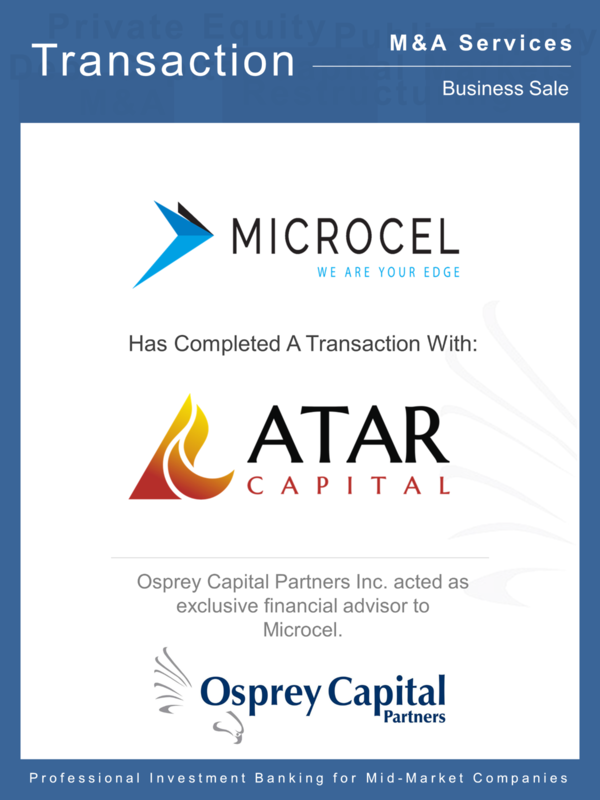 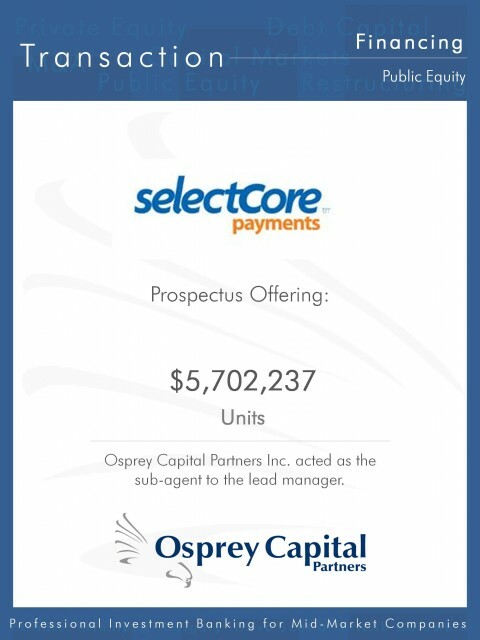 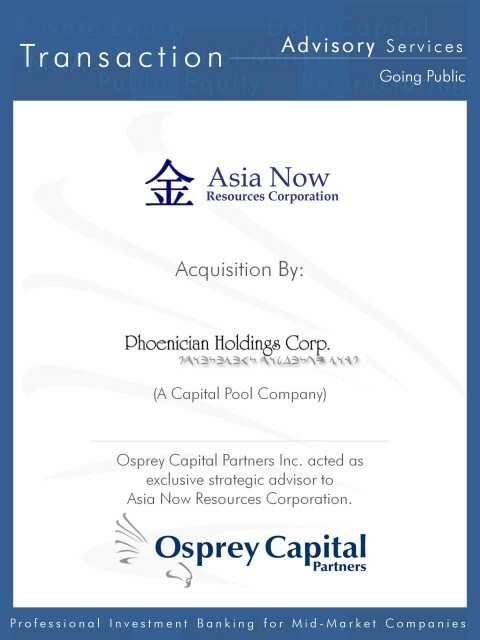 Osprey Capital maintains relationships with over 400 strategic, venture, private equity, debt and institutional investors to tailor each transaction to the demands and expectations of our clients.